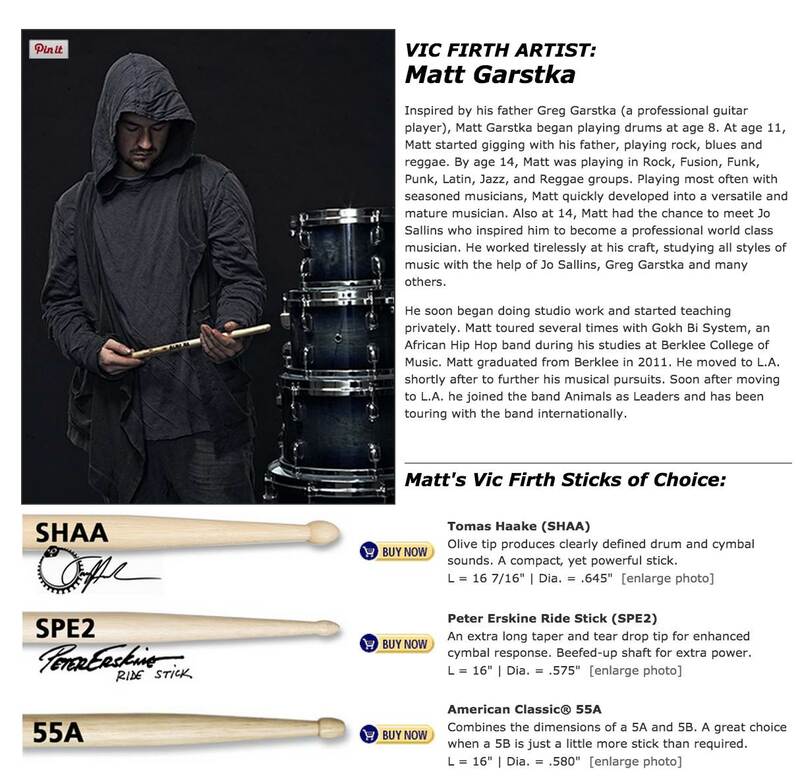 Matt Garstka is a [Vic Firth featured artist](http://www.vicfirth.com/artists/matt_garstka.php) and the Tomas Haake (SHAA) sticks are noted as one of Matt's sticks of choice. No reviews or videos yet for Vic Firth Tomas Haake drumsticks (SHAA). With an Equipboard account you can rate this item, add it to your collection, submit a review to discuss what you like and dislike about it, and associate Vic Firth Tomas Haake drumsticks (SHAA) to artists that use it. Create an account!